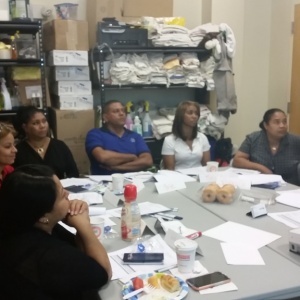 Have you ever given any thought to what goes on behind the scenes at your cleaning service company? Some people might think that since residential or commercial cleaning isn’t exactly rocket science, the operation of the company shouldn’t be any big deal. The truth is that a cleaning service company has all of the work and attention to detail that goes into running any other sort of business. In fact, service businesses tend to require even more time and work than any other sort of company. Because any time you are dealing with the public and performing a service, you must of necessity deal with many personal opinions, needs, demands and special requests. There is a lot that goes into providing a great cleaning service experience to you. First of all, we must find and hire suitable employees. A background check is run on each and every person we hire and send out to clean. But before being sent out on a job, every employee must undergo a thorough training program to ensure that the work will be done up to our standards….and yours. We stand behind our work, so if you aren’t happy with the service you received from us, we will make it right with you. Therefore, it is better for everyone concerned if we make sure our employees are trained correctly so as to get it right the first time. We must also be licensed, insured and all of the other 1,001 things that go into the day to day running of any business. The operation of a good cleaning service company requires a lot of hard work, diligence, high quality employees, a commitment to excellence and customer service that is second to none. A typical day in the life of a cleaning service begins with ringing phones and lots of emails pending for review and response. In any given day we have several hundred calls / emails to respond to and we try to do them all in a very timely manner. Some client requests require lots of coordination before we even respond to that client in terms of scheduling, ensuring we can move things within our schedule to accommodate that particular client, making sure that we have enough vehicles to make the changes and employees, etc. Sales people call multiple times throughout the day hoping to get a sale or a meeting with one of the owners. Random visitors stop by the office just to chat for a few peoples and catch up…. because we are helping to lead the Hyde Jackson Business Association, we also get people coming by to find out what is the association, how we can help them with their business or community events, etc. – really in 1 day we see many people – the best ones are when current clients stop by to drop a key because we get to meet them in person and put a face to a name which is always very cool! People looking for a job come to our offices to fill out an application. 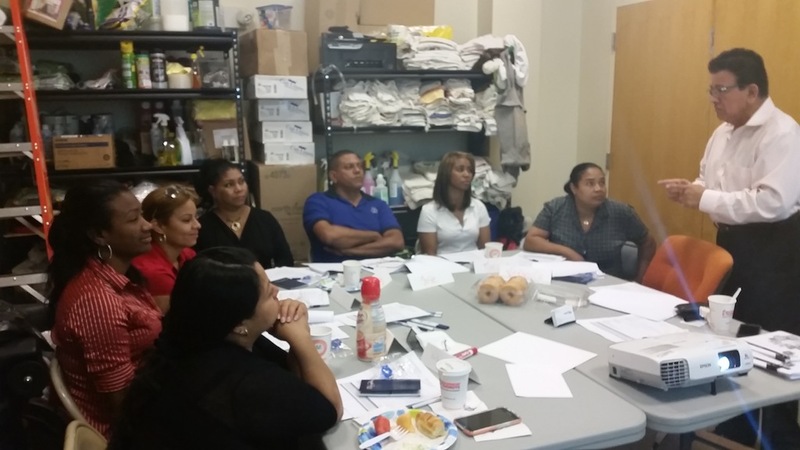 New employees show up to be dispatched for their training sessions and we are coordinating and meeting to figure out how to best service our customers / members. We are juggling the work schedule of all employees, trying to accommodate ate requests for time off. We are making calls to replace an employee who has called in sick or for another reason, won’t be able to work his or her scheduled hours for the next day. We are taking care of administrative tasks such as taxes, payroll and planning for the future (sometimes looking a month or 2 ahead in the schedule to ensure we don’t miss a holiday etc). and a whole lot of other things that add up to a very full day for everyone in our office! If you had the vague impression that a cleaning service is a sort of low rent type of business because cleaning is considered by some people to be a menial type of job….think again! Sometimes I too find myself smiling because I cannot believe all the aspects that are in synch to make Tremendous Maid the best residential company that it can be. I feel like a proud mother of an awesome company! Our office sometimes goes from calm where everything is going well to Nisaury or myself calling the office assistant/s to figure out what happened and/or what went wrong and how we are going to fix it so it doesn’t happen again….the best thing is that I love it all, I love what we do and how we do it…we have so many challenges to work on and that’s what makes it exciting. Why Most Maids / Cleaners Do Not Speak English??!! In my opinion all Cleaning Company Owners / Managers would love to have all employees who speak English fluently. This is an issue that at Tremendous Maid / Boston’s Best Commercial Cleaning we discuss on a very frequent basis. I guess the question for you to consider is: If the service is reliable and trustworthy, is having cleaners that don’t speak English a deal breaker? The fact is that many employees of a cleaning service, either residential or commercial, are not fluent in English. Most janitorial cleaners are immigrants that come to the USA in search of opportunities for their families. My mother Rosa came in the mid 1990’s in search of opportunities so her children could get an American education. My mother worked 2 and 3 jobs at time as a hotel maid and never had time to study English. Deep down this is the #1 reason why I wanted to open a cleaning company in the Boston area. For the longest time I felt embarrassed to tell my Cornell University’s friends that my mom was a cleaner. I realized that the only reason why she was a maid was because she couldn’t speak English to work a better job. And she worked 2 and 3 jobs so she could give us the things that we never had back in the Dominican Republic. My mother didn’t speak English but she has always been very strong and an intelligent woman. About 2 months ago we had a client very upset with the maids because they didn’t speak English –this client yelled at the maids and our office staff. When I got involved in this situation, I communicated that this behavior is not acceptable in our company and that we wont be able to provide service any longer. Even though I was calmed throughout the conversations, I felt that fire was coming out of my ears! With so many Cleaning Companies in the Boston Market – why offend others just to get an ego booster when you can simply cancel your service and move on?! Maids are very hard to find especially because cleaning is very physical work. At Tremendous Maid we demand all our team to provide a better cleaning experience than many other companies in the area, which makes it even harder to attract English-speaking applicants. Within the last two months, we had new hires showed up for the first day orientation and never show up for the second day. Others make it the first week or so and by the end of the month provide their resignation. This is the reason why most of the maids in our team are non-English speakers; because they have a need to support families back home so they have to work harder and longer than others who could easily find other type of work if they speak English. Many of these people are accustomed to hard work and are, in fact, very good workers who don’t flinch at rolling their sleeves up and getting the work done. 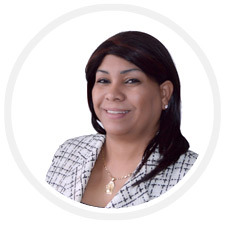 People who have recently come to the United States for a better life often understand that hard work is the key to success in this land of opportunity and are more than willing to put forth the effort necessary to succeed. Most are honest, dependable, trustworthy and motivated to perform their job well, whatever it may be. Many work two or even three of these lower paying jobs in order to pay their bills and send money home to family in another country. To become the leading residential & commercial cleaning company by continually developing systems and programs that provide superior services for our clients and employees. TM / BBCC will become the preferred company for current and prospective team members who seek opportunities for growth and development to achieve the American Dream. If you have special instructions for a cleaning job and are afraid you won’t be able to communicate the details to a cleaner whose English isn’t quite up to par, just call our office at 617-553-1393 and convey your request to the office assistant in charge who will then pass the message along to the cleaner who is to do the work. Otherwise, whether or not a cleaner is able to speak English fluently just really isn’t a problem. If your cleaning service is sending employees who are efficient, pleasant and doing a good job all around, why is English required? Think about it: I’ve been and worked in major luxury hotels and the # of maids who don’t speak English is significant yet they are 5 star hotels! How many times have I been to ridiculously priced organic super markets (and I think you know who I am referring to here) and the customer service staff replenish the shelves cannot say 2 words in English? Are you aware of all the reasons your carpets need to be thoroughly cleaned? A lot of people think that cleaning carpets is simply a matter of removing surface stains or dirt. But, this isn’t the case at all. 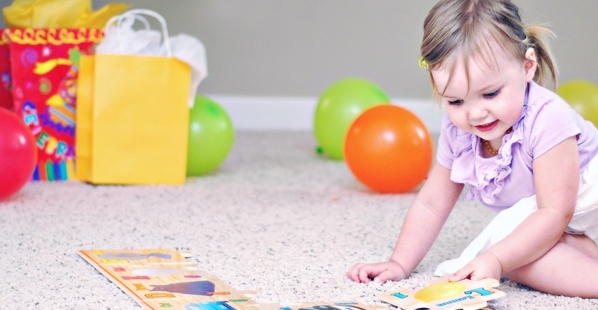 Getting your carpets properly cleaned is also about hygiene, especially if you have children and/or pets. When you stop and think about it, you will probably realize how many germs, allergens and chemicals are tracked onto your carpet every day. Retrace your steps for even one day to get an idea of how many undesirable things you are tracking across your carpets when you get back home. Did you walk across a parking lot? Did you walk through your front yard or a local park? Did you stop to put gas in your car? Did you walk close to a dumpster? Not a very appealing picture, is it? But, it clearly illustrates the importance of having your carpets cleaned! Guess what? Not all allergens and contaminants are outside. The inside of your home isn’t immune to contaminants and allergens, either. Dust mites, for instance, live in carpet and are responsible for sneezing, stuffy noses, watery eyes and other allergy symptoms. If you have pets, your carpet is harboring pet dander, a known allergen. But that’s not all. There are also other contaminants and allergens such as dirt, smoke…even candles and air fresheners. All of which can cause allergic attacks. So, as you can see, having clean carpets isn’t just a benefit from an aesthetic point of view but will also help you and your family stay healthy. While being healthy is of paramount importance and perhaps the number one reason for having your carpets expertly cleaned, there is another benefit. Regular, deep carpet cleaning will greatly prolong the life of your carpet and keep it looking good. 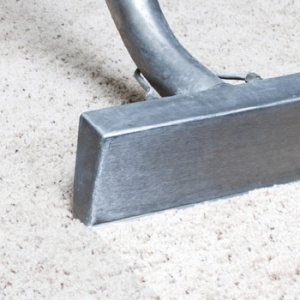 Over time, as dirt and grime are built up in the fibers of your carpet, they begin to weaken it, which causes the carpet to wear out more quickly than it would if kept vacuumed and cleaned on a regular basis. Cleaning your carpet helps keep it fresh, hygienic and in better condition!